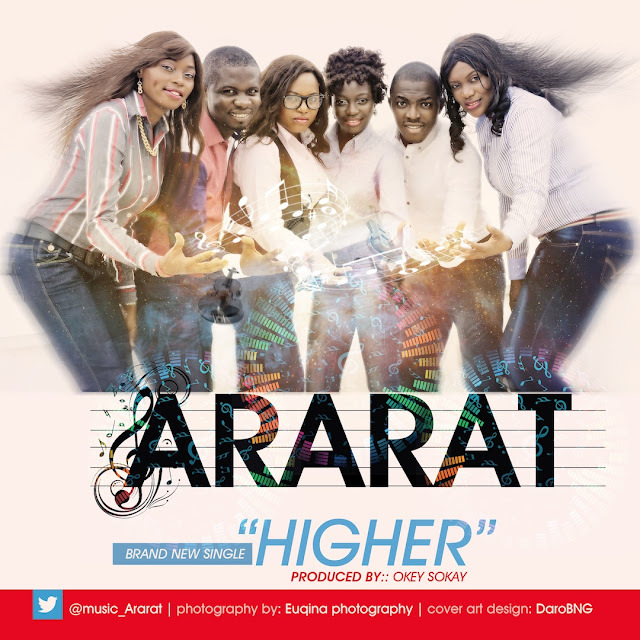 ARARAT is a group of young gospel singers based in Nigeria. The group was formed on the 3rd Feb, 2007 by some pioneer members back in university (Olabisi Onabanjo University) days, as they all met in Winners chapel , Ijebu Igbo. It comprises of great minds who are devoted towards the growth of the ministry by making positive impact through music in the society at large. The name “ARARAT” was extracted from the Living word of God in the book of Genesis, Chapter 8 verse 4 which says – “Then the ark rested in the seventh month (7), the seventeenth day (17) of the month on mountains of Ararat“ which is “a place of rest” and this brought about the generation of a Code from that same scripture (717). The group started the journey by organising concerts, featuring at events… And eventually released their first single in 2013 titled ” Ofemi”. ARARAT has over the years enjoyed several enviable platforms alongside with a number of gospel music concerts around Nigeria with indigenous flavour in the songs. The music ministry ‘ARARAT’ is taking the world into another high dimension by dropping another mind blowing single titled “HIGHER” produced by Okey Sokay! What a time to come up with such a prophetic song as everyone is aiming high as the year comes to an end.